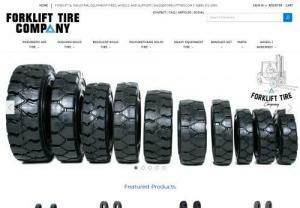 Forklift Tire Company supplies new (and used!) tires, rubber tracks, and wheels for industrial, warehouse, and construction applications. We focus on customer order fulfillment, an easy-to-use website, and the expertise and service that is expected from any good business.